It’s all happening now at Magazine Designer Clothing – perfect spring/summer pieces have arrived from their predominantly New Zealand designers and labels, including their own label, ‘Magazine’. There are subtle floral prints, beautiful silks, as well as garments with exquisite lace detailing and of course lashings of colour. Magazine offers a range of clothing from sizes 10 to 26 – casual lifestyle clothing through to fabulous special occasion wear, including race wear and mother of the bride and groom attire. Magazine also carry an exquisite range of accessories including jewellery, fascinators and bags to complement every outfit. The company is celebrating several beautiful new labels joining their range this spring/summer season including Ruby Yaya, PQ The Label & PQ Curve, The Italian Closet and Upstream by Megan Salmon. All have very different aesthetics, but all offer stunning colour palettes, prints and most of all “feel good fashion”. The Magazine Designer Clothing experience is about helping you find your perfect style, no matter your size, age or the occasion you’re shopping for. 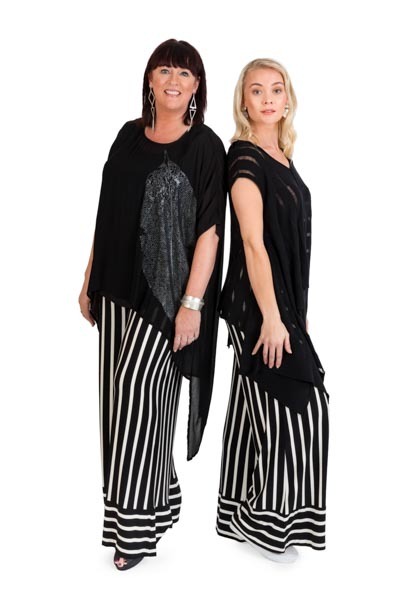 They stock a stunning range of flattering and feminine contemporary looks with 10 stores across New Zealand. Their expert in-store stylists will work with you to really understand your needs and ensure you look and feel fabulous every time you shop with them. So visit their gorgeous Christchurch store soon to see all the beautiful new seasons’ styles – everything to make a girl’s heart sing. Nicola, Kerry and Jan would love to help you find the perfect piece for your wardrobe.